Imaginate the new creation system no more. Hey, kid. Yeah, you. Come on over here. I know the hot new thing on the block is all them Skylanders with their "Spyros" and their what-nots, but what if I told you the rules ain't gotta be followed any more? What if I told you that, with the upcoming release of Skylanders Imaginators, you wouldn't have to adhere to their strict limitations about being a dragon or a lava-person or a whats-it with the stumps for hands? Sounds pretty enticing, yeah? Well, check this out. 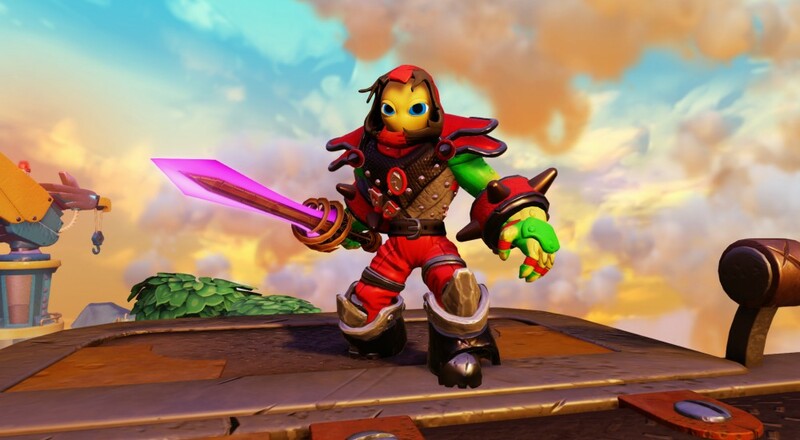 All you gotta do is pick up one of them "Creation Crystals" and blammo - you can create Skylanders in your own image. You'll be like some sorta divine entity, just creatin' things left and right. How's about it? You wanna know more? Go on and watch the video below. Now don't that just sound like the bee's knees? Not only can you make up your own Skylander, you can also force your twisted creations upon your closest friend in two player local co-op. I know, I know. It's exciting, right? Look, if I could get it to you early, trust me, I would. But you gotta wait until it's released on October 16th of this year. Once that day comes, you can make robot fencers and all sorts of other things all day long, but you gotta be patient. Alright, alright. You've seen enough. Get on outta here, and don't say I never did anything for ya. Page created in 1.0096 seconds.